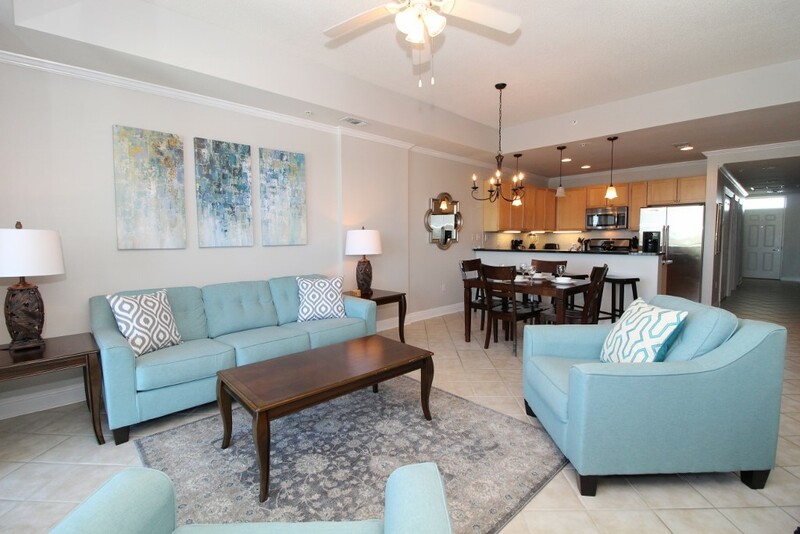 Experience your most fun-filled vacation yet when you stay in this spectacular 2 bedroom, 2 bath unit at the Wharf Resort! The complex offers the ultimate in luxury accommodations, and best of all you’re in the middle of all the action the Wharf has to offer! You’re literally just steps away from fantastic shopping, gourmet dining and so much more. Take a stroll to the Rave movie theater to catch a flick with the family, grab a drink and a gourmet meal at one of several top rated restaurants and bars, or even catch one of your favorite performers at the 10,000 seat outdoor amphitheater! There’s a zip line, the largest ferris wheel in the Southeast with panoramic views of Orange Beach, lasertag, a water park with a lazy river and so much more! 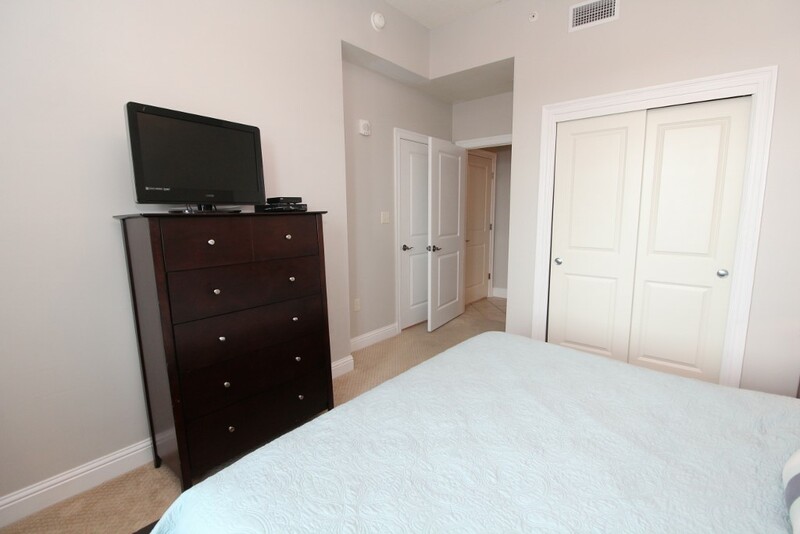 This exclusive unit also includes free admission to the water park during open season (hot tub heated seasonally)! Whether you’re looking for an action packed getaway or a family-friendly trip, the Wharf has it all! 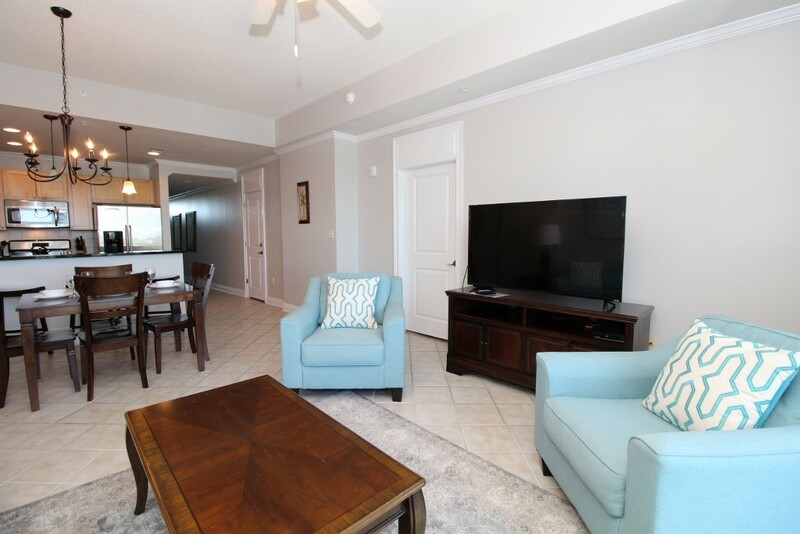 This stunning 2 bedroom unit features a modern yet comfortable style, with contemporary furnishings and décor throughout. 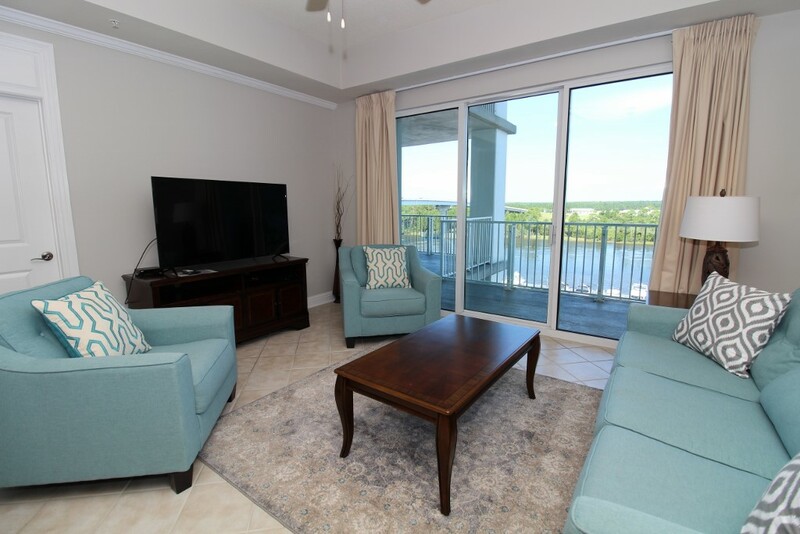 The living area features a plush sofa with two cozy side chairs, a large flat-screen television, and waterfront balcony access overlooking the Wharf Marina! Expansive sliding doors open to your outdoor oasis, where you can watch boats pass by, sip your favorite beverage and even cook a delicious meal on the gas grill. There are chaise loungers and a dining table with seating for four. 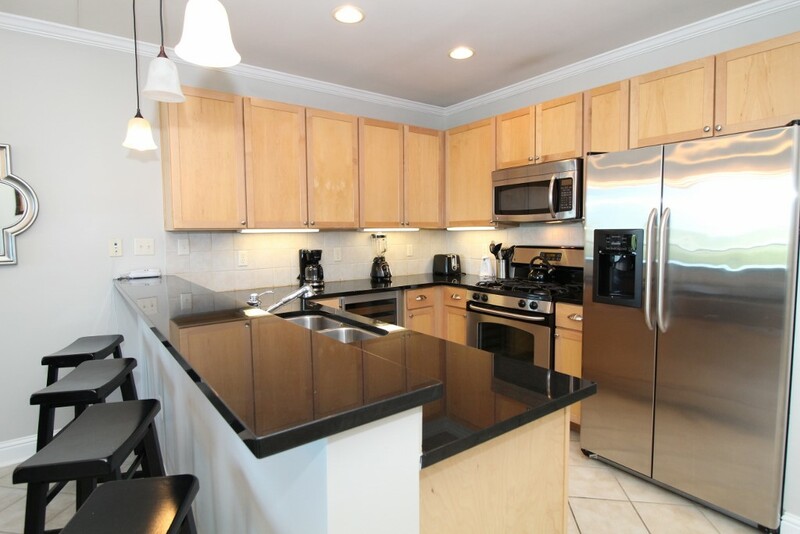 The kitchen is a chef’s dream, offering granite countertops, updated stainless appliances, custom cabinetry and light fixtures, a wine chiller and a breakfast bar overlooking the living area. The dining table offers seating for four, with additional seating for 3 at the bar. Vacations are meant for relaxing and recharging, and that’s exactly what you’ll experience in this plush master suite! 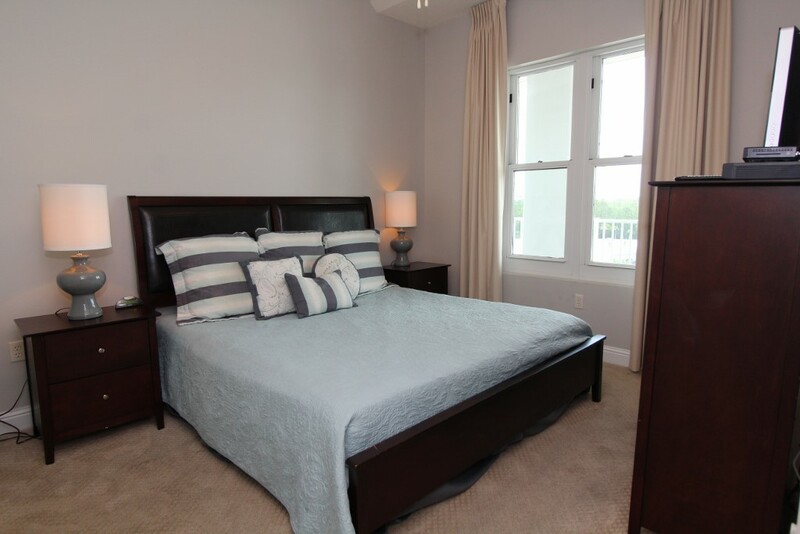 Featuring a beautiful king bed with premium linens and a comfortable mattress, you may never want to leave it! Large windows offer views of the balcony and the marina. The master bath is equally impressive, boasting a large garden tub, separate walk-in shower and his and her sinks with granite countertops. The guest bedroom offers a king bed with deluxe bedding and a premium mattress, a flat screen TV, attached bath and views of Main Street and the Ferris Wheel! Although you could certainly keep yourself occupied without leaving this fabulous complex, Orange Beach is home to some of the best restaurants, shops and nightlife on the Gulf Coast. A five minute drive will take you to the glistening shores of our pristine beaches, where sugar-white sands meet shimmering emerald waters, and with an annual temperature of 72 degrees you’re able to enjoy the coast no matter what time of year you visit! We had a very good time and we will return next year to this condo! Very clean! Would recommend to others!